Finding the zen and a splash of green in our spring projects. Spring in Maine is glorious. The warmer days and everything coming to life after what is almost always a long, cold winter. It motivates us to get out and do things and while I’d like for all those things to be fun, social outings, in reality spring in Maine is always a working season. I suppose they all have their moments, but getting ready for summer fun doesn’t just happen. It requires lots of diligence and prep. Winter takes a toll, and spring is the time to take stock and put your to-do list in order. I’m always looking for safe, environmentally friendly ways to do my spring projects and thought I’d share what has worked for me so far and in what areas I’m still looking to do better. This is an annual project. Each year may not require that the entire deck get re-stained, but there’s always some touch up to be done, and loose boards to secure. Last year we had to re-stain it all because we cheated the previous year and skipped the deck completely which is never a good plan. This year I could have gotten away with just a touch up but I gave a quick overall pass to everything anyway. I was motivated and it doesn’t hurt. Living on a lake, we’re always conscious of the products that we use near the water and after a few missteps I have finally found an environmentally friendly deck stain that I love. We use Vermont Natural Coatings in Autumn Red. It’s a great color and really does hold up well, even in our Maine winters. It’s a little hard to find so I generally have to order it online. This year I found it through Green Building Supply. Similar to the deck, this is also an annual process. This year they were in decent structural shape, but were in serious need of another coat or two of stain. We had to replace one of the base sections a few years back, and that section is still perfect going into year three. For the stairs we use another environmentally friendly stain. This one is AMF SafeCoat in Mahogany. I happened to find this stain the first year we bought the lake house and I’ve stuck with it. Again, it holds up well although does need a bit of touching up from year to year. I love the color too! Like the Vermont Natural Coatings it’s not easy to find and I haven’t had success yet with a local Maine dealer. Fortunately, I still had some in my stash from last year so was able to do another coat without buying more stain. I also saw that it is carried by Green Building Supply too. Good to know for next spring. We get off a little easier on this one now that we have a local company do our installation. For years we put the docks in ourselves but there are only so many ways you can bribe friends and family into spending a weekend helping you install your docks in frigid water. So now, our only task on this one is cleaning them before they get installed. I’m still struggling to determine the most environmentally friendly way to clean them. They’re made of a composite decking. So many of the cleaners that I’ve seen have bleach or other toxic chemicals so I’m not comfortable using them. This year I used some general all purpose cleaners that I already had from Caldrea and Mrs. Meyers. They’re eco-friendly but not designed for this type of cleaning. They worked better than I thought they would but required a huge amount of labor. So much labor that I’m surprised I can still type this blog post. I’m still that sore. My search continues for an eco-friendly option designed for this task. Maybe I’ll figure out something by next year. Let me now if you have any suggestions! For years, we would bring ALL of our exterior furniture inside for the winter except our wicker set. We have limited inside options and the wicker resides on a covered porch so it never really got the full brunt of winter, except during the most extreme of storms. I was able to get away with just a light cleaning for a few years, but last year I had to bring out the big guns and do a full repair, cleaning and repainting of the set. I even had to purchase new cushions too. Maybe that covered porch isn’t as protected as I thought? I don’t want to risk another drastic repair situation given the set is old and I want it to last. I purchased it second hand at a yard sale over fifteen years ago. It can’t take too much more pounding. We found a way to bring it inside this past winter and now other than a light cleaning this one is good to go. Plus, moving it inside gave our cat a new place to snooze. I invested in a teak dining table and chairs a long time ago before learning that it’s not always the best environmental choice. While I wish I’d been better informed on the environmental issues related to teak, I’d purchased it because of it’s reputation for durability and that has proven to be extremely true. It weathers to gray, which I actually like, and all it ever needs is a good scrubbing each spring. The key is to find a cleaning product that isn’t loaded with chemicals. This year I discovered an eco-friendly option that looks promising, Teakdecking Systems ECO Teak Cleaner Powder. Wish me luck! This one is a challenge because basically I am a horrible gardener as I’ve expressed before on in this blog post. I had a lemon and lime tree that had been with me for fifteen years before the lime one finally died. The only surprise was how long it lasted given the amount of care it got from me. The trees were always happiest when spring arrived. They’d rather take their chances in the wilds of Maine than be inside with me. The lemon tree is still hanging on and since it just got moved outside again should start rebounding. At least, I hope. We also have some raised beds that came with the property. Our first few years, we did some herbs and a flower garden but our ambitions and talent have waned with each subsequent year. It might be time to check into our options. Much like the docks, there may be a better plan for gardening success. I have many, many more items on my spring to-do list as most of us do. The key theme throughout my list is always “repair”. Winter leaves her mark pretty aggressively at times, and to stay ahead of her, you need to be vigilant about fixing things each spring so they’ll survive when the next winter season returns. But, you know what? I’m actually good with our project list. Many of these activities can be meditative and relaxing. Maine is beautiful and being outside even when working is spectacular. Although in fairness, if the black flies are out it makes it a little harder to find my zen but now that I have my bugaroo I should be all set. What kind of spring projects do you have to do where you live? 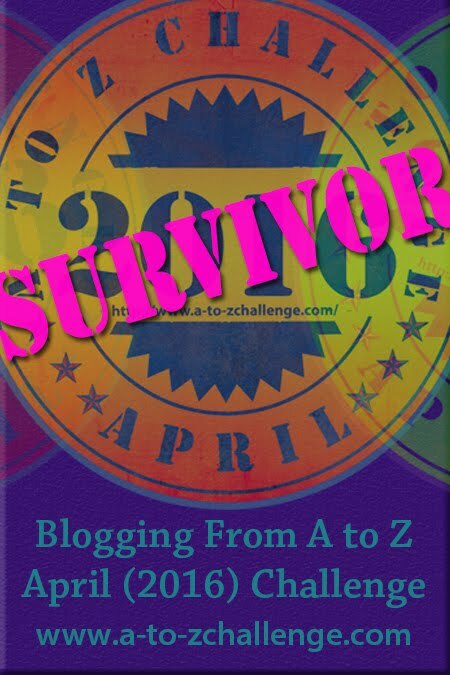 #atozchallenge | Reflections of a two timer and what comes next. Spring projects? Making new flower beds and planting the garden. Always a lot to do on a farm. Mowing, working on fences, cutting brush, the chickens… Of course taking lots of photos and blogging! Great post and an AWESOME BLOG!!! Thanks for visiting! Spring projects do seem to pile up quickly but it’s so wonderful when they’re finished. Besides getting a breather, everything always looks so nice. 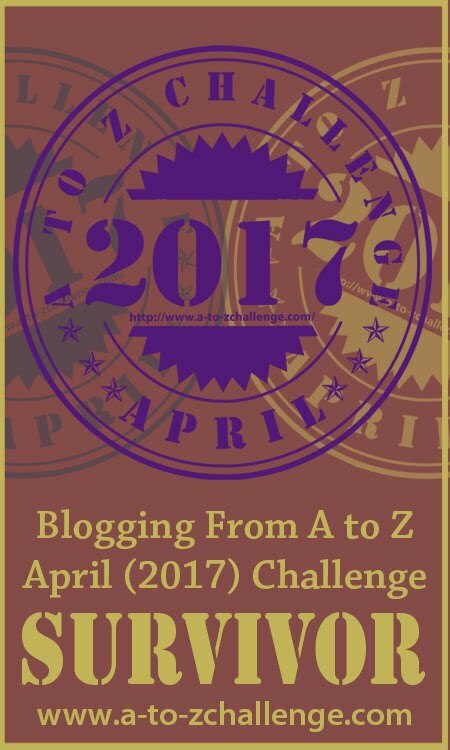 Wow, between spring cleaning and A to Z, you’ve been busy! I like Mrs. Meyers cleaning products, too. Yes, last month was a little crazy. Looking forward to getting back to a balance this month. The Mrs. Meyers stuff has some great scents too. This weekend is deck cleaning and lawn chair cleaning weekend. I’m not looking forward to it. On the plus side, I think we’re going to be able to get away with not completely repainting the deck this year – I just can’t think of next year, when we’ll probably have to do it. We keep our chairs and the like in a shed over the winter, so they don’t come out too dirty, but they still need a good scrub before they can get used. Spring prep can really wear you out. I love those bonus years where you can skip the full staining/painting on some things. Makes things a little easier. Inside storage definitely helps too. We do have a chair and table set that probably needs staining this year. We’ll see if it actually gets done, or I make it “fall project” – which really just means I’m putting it off until next year. A few of my to-dos always get pushed too! I love the rain but it does slow down those spring projects! I think my lemon tree will rebound this year but it’s days are probably limited. It’s gotten a little unwieldy for the winter months. I miss the lime tree. We did get enough limes one year for key lime pie. But, only once.